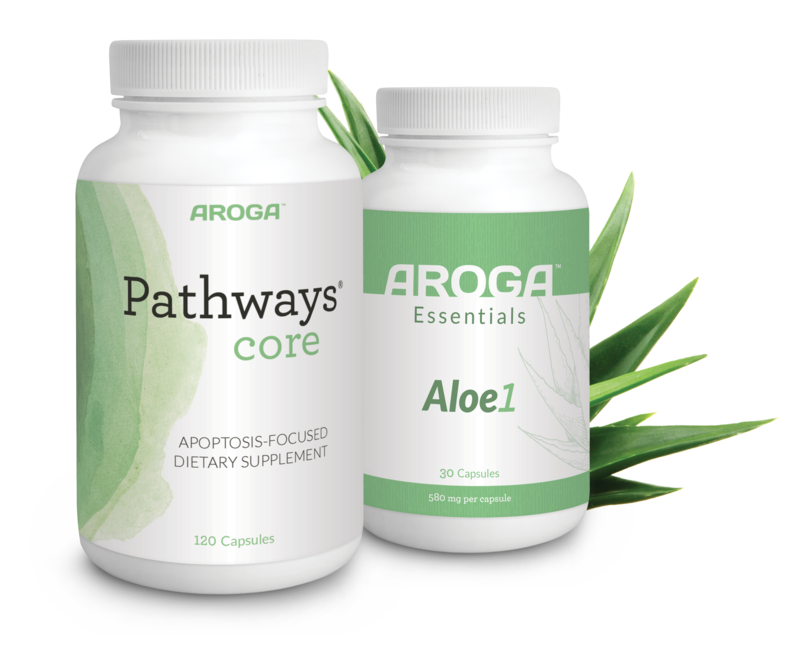 Combine Pathways Core with the first product of Aroga's Essentials line, Aloe1. While the Pathways products work inside the cell, Aloe1 supports cell-to-cell communication, which occurs outside of the cell, giving you enhanced cellular health when taken together. Each Aloe1 capsule is hand-filled with Aroga’s proprietary, sustained-release blend of freeze-dried Aloe vera gels, which contain the broad range of poly-acetylated mannans, also known as acemannan, as found in Nature. For Ingredients and Supplement Facts, visit the individual product pages. © AROGA Ltd. All rights reserved.